Theme park getaways are popular with families, but they sure ain't cheap. Happily, there are some golden rules of ticket-buying that apply to pretty much every theme park, and they can help you chip away at the cost of tickets. Here are tried-and-tested ways to lower your theme park spend. Buy tickets online. Never, ever pay the walk-up ticket price at a theme park. Instead, visit the theme park website and print out your tickets before you go. You're guaranteed to save a signifcant sum—sometimes as much as $20 per ticket—even for same-day tickets. Buy in advance. Most theme parks offer a price cut if you buy tickets at least a few days before you arrive. For instance, Knott's Berry Farm in Buena Park, California, slices off $25 per ticket when you make your purchase at least three days ahead. Mine dealfinding outlets. 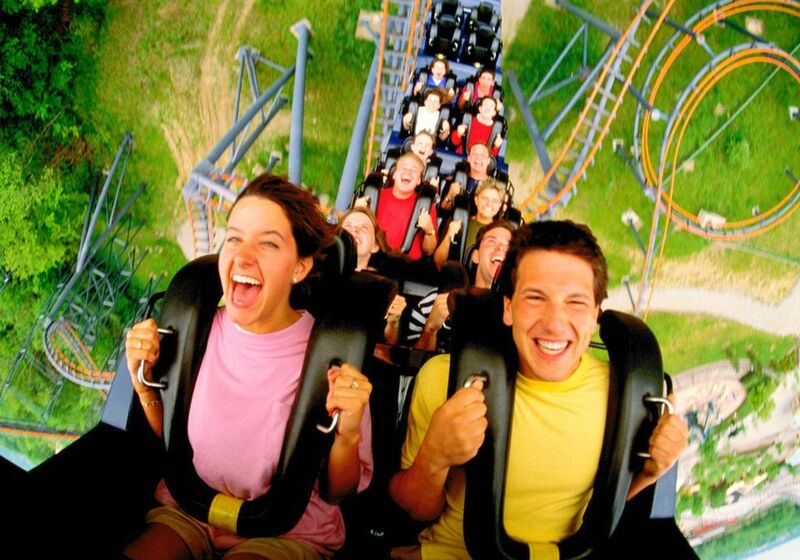 Sites like Travelzoo, Living Social, and Groupon are great places to look for deals on theme park tickets. If you're going to be spending a few days at a destination with a theme park, consider buying the Entertainment Book for that location. It's guaranteed to be full of money-saving coupons for dining and attractions, including theme parks. During your vacation, you'll almost certainly recoup the cost of the book itself, which costs less than $10 if you buy mid-way through the year. Avoid weekends. This one is a universal no-brainer. Single-day ticket prices at Cedar Point in Sandusky, Ohio, are about 30 percent less than admission on Saturdays and Sundays. But the big bonus is that lines will be much shorter, allowing you to spend less time waiting in lines and more time having fun. Go in the afternoon. Some parks offer deeply discounted tickets for visitors arriving later in the day. For example, Hersheypark's sunset tickets allow entry after 4pm or 5pm, depending on the day. You'll still get between four to six hours of fun before the park closes, and you'll pay up to 50 percent less than the full-day ticket price. Buy more ticket than you need. It may seem counterintuitive, but sometimes it pays to buy a multi-day or season pass even if you're only visiting for one day. The season pass at any Six Flags park is marginally more expensive than a single-day ticket, yet it gives you a full season of fun at Six Flags parks all over the country. It's something to consider if you live within driving distance of one or more Six Flags parks or have a summer road trip planned near one. Spring for a package. At larger parks, such as the Disney and Universal theme parks on both coasts, you'll save money when you buy a package that bundles tickets with a hotel stay and sometimes even meals. Moreover, staying on property can allow you to take advantage of additional perks such as free parking and line-skipping privileges. Make membership work for you. Both Disney World and Universal Orlando offer nice ticket discounts to AARP members. It's one of the perks of turning 50. Stay up to date on the latest family getaway ideas, travel tips, and deals. Sign up for my free family vacations newsletter today!